Those in the Chesterfield area who require car detailing want to ensure that the company they trust with their vehicle offers the best service available. You do not want to trust something as personal and valuable as your car to someone that will not treat it with respect and offer the highest possible quality work to maintain its look. Not only will a car detailing treatment get it looking like new but it will help to preserve the exterior and interior so that the vehicle will continue to maintain its value with time. Our team works to ensure that our car detailing treatments in Chesterfield will offer the most value for the price. Not only do we work to remain competitive in the industry, we work to ensure that each of our customers are satisfied with the service that we provide so you will be excited to return every time your car’s exterior or interior requires a touch-up. We offer a full list of treatments that you can select from to touch up the finish on your car. We also offer packages so you can determine the amount of work that is most appropriate for your vehicle. Our team will be happy to answer questions about any specific services that are desired. 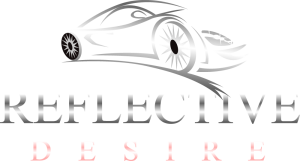 We offer a variety of packages which helps to ensure that you are satisfied with your car detailing from beginning to end. If you are interested in a particular service, one of our team members will be happy to discuss these particulars with you to ensure that all materials used and detailing performed will be to your specifications. Those of us in Chesterfield that are interested in a valeting package will not receive lesser service for their trouble. We ensure that every vehicle which is valeted receives the upmost care and consideration while it is cleaned. We use a 2 bucket system to ensure that all dirt is carefully removed without the risk of scratching or spreading the grime to other parts of the car as we move from one area to another. All of our wash mitts are also carefully selected to ensure they will provide a streak-free wash without any risk of causing damage to the vehicle while it is cleaned. Alex at Reflective Desire came to my house and spent the day doing a New Car Detail for me. He turned up early in the morning and worked right through without lunch to make sure my car was finished by the time I had to leave for work. He was polite and by the time he finished, you’d never know he’d been working in the car park, everything was tidied away and cleaned up. As for the car, it was beyond my expectations, he took detail to a new level. It gleams inside and out, and even the backs of the wheels are shining! I’d definitely use Alex again, and recommend him to anyone who’s thinking about getting their car detailed.